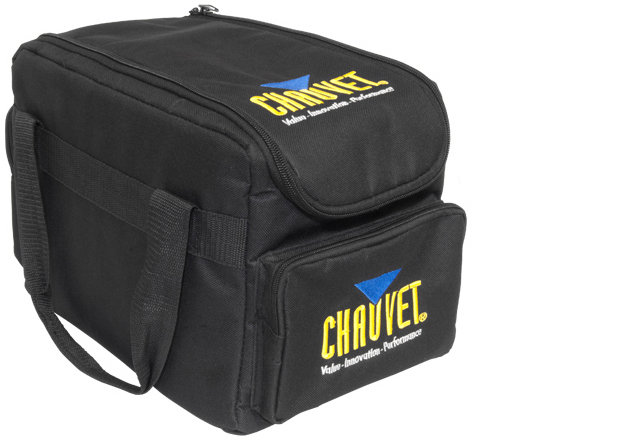 The CHS-SP4 VIP Gear Bag was custom made to house and carry SlimPAR™ fixtures. Up to four SlimPAR™ wash lights will fit alongside an Obey™ 3 controller and cables to connect the system together. 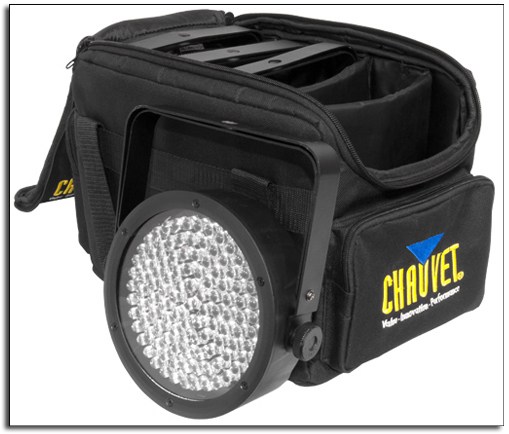 It's a complete mobile lighting setup in one convenient carrying case ideal for musicians, mobile DJs and small venues. Custom designed to carry up to (4) CHAUVET SlimPARs™, (1) Obey™ 3 controller and all connecting cables. Five internal compartments and 2 external compartments hold lots of accessories for entertainers on-the-go.